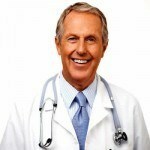 Whether you are looking for a dermatologist resume sample, or just a doctor CV sample, you are on the right place now. In the following article, you will find a template that you can download and edit according to your skills and experience. 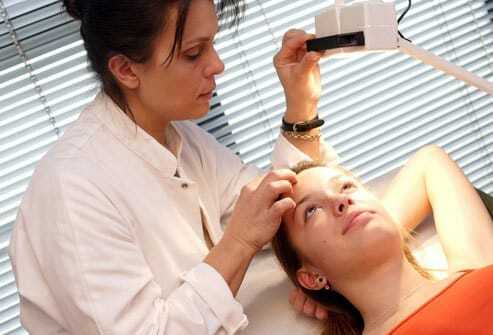 Bellow the sample, you can read some advice for your Dermatologist job interview. To pursue my career as a dermatologist and devote my time and skills to one of the greatest and most prestigious skin care clinics in the state of New York. Every application needs to start with a solid resume. Your resume needs to have specifics and technical information about what you did in your previous job. If you are having trouble with your resume, this site has dermatologist resume templates for you to look at. Knowing all you can about the facility or company and the position you are applying for is an extremely crucial step. This will not only make you better prepared for whatever the interviewer throws at you, it will also help you gain an idea of the qualifications or attributes the company is looking for in their candidate. Sometimes, a hospital or clinic conducts an initial interview over the phone first and then requests an onsite interview if they see great potential in you. This short interview should not be treated any less important than the actual in-person since it will be your chance to make a lasting impression in such a short time. During the phone interview, it is a good idea to have your dermatology CV with you, that way you can refer to it during your interview and answer the question with specifics. Your efforts should not stop at impressing the interviewer over the phone. There are still a few important steps you must take before you release a sigh of relief. The first thing you need to know is that a successful interview requires a lot of preparation and practice. Study your resume, and commit to memory the important elements. You won’t want your eyes glued to your resume while you talk about your past work experiences and the responsibilities involved in previous positions. Be prepared to go into details. Why did you choose to pursue a medical career? Describe a case when you had to collaborate with interdisciplinary members of the health care team to provide care to a patient who is in dire need. In which practice area do your strengths lie? Why? Have conflicts risen between you and your patients or their family? How did you handle such a situation? Why did you choose to apply at this facility than elsewhere? What can you contribute to this facility and the department? What strengths will make you right for this job? Any weakness that may affect your performance? What is the call schedule like? How many patients, on the average, will I be attending to in a day? Is there an open door policy for addressing employee concerns? How does the facility ensure top quality patient care? Are the employees evaluated regularly? How much time am I expected to dedicate to research as opposed to clinicals? Even if your qualifications are more than enough to get you the job, dressing for the interview should still be given much thought. Step into that interview looking your best with at least a dress shirt and slacks or a suit and tie. Rule out anything as informal as jeans or sneakers. If this Dermatologist resume example wasn’t sufficient for you, you are free to review some other samples and templates from our site. Browse to some related resumes below and find your inspiration.